Sometimes the terms gross margin and gross profit are used interchangeably, which is a mistake. 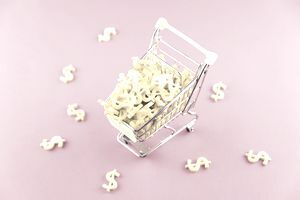 While they measure similar metrics, gross margin measures the percentage (or dollar amount) of the comparison of a product's cost to its sale price, while gross profit measures the percentage (or dollar amount) of profit from the sale of the product. Gross profit is the total sales minus the cost of generating that revenue. In other words, gross profit is sales minus cost of goods sold. In simple terms, it is your total profit minus other expenses such as salaries, rent, and utilities. Note that generally accepted accounting principles (GAAP) require that gross profit be broken out and clearly labeled on all profit and loss (P&L) statements. Gross margin is the gross profit divided by total sales. So, if your store made $500,000 in sales and had $250,000 in gross profit, then you have a gross margin of 50 percent. One of the key components of this examination is the health of a store. For example, if Store A and Store B have the same sales, but Store A's gross margin is 50 percent and Store B's gross margin is 55 percent, which is the better store? In regard to efficiency with inventory, Store B is the winner. But, Store B could have higher overhead costs or pay its employees $2 more per hour than Store A. So, even though Store B generated 5 percent more in gross margin, it still may have made the same net profit for the year. If this seems confusing, consider this example. If you're selling TVs and have a gross margin of 30 percent and your competitor is selling TVs and has a gross margin of 40 percent, does this indicate that you are doing something wrong? The key point is that a gross margin percentage is just a consideration and may not be true indicator of a well-implemented pricing strategy. A store can have a high gross margin and low revenues or a low gross margin and high revenues. Either way, the math may equal the same on the P&L. When requesting a loan or line of credit from a bank, these numbers are key determinants of your store's ability to repay. Note that most accountants will look at net gross profit, which relates the total amount of profit dollars you generated "after" all of your expenses have been paid. Many retailers could be very profitable, but they may have a bad lease or fail to control escalating expenses. In the end, a retailer can have the best margins, but needs to know how to manage costs to be successful. Whether you're selling $3,000 automated beds with a remote control, or discount mattresses, in retail, cash is king. What is Keystone Pricing in Retail? What is IMU in Retail? What Caused the Abercrombie & Fitch Scandal? What Is Gross Profit Margin in Retail?